Opioid drugs are dangerous painkillers that have been linked to serious complications and death. For patients and families who have been harmed by opioid medications, getting answers about the legal options for recovery can be essential to getting on the road to justice and reclaiming their lives. We welcome your calls and emails 24 hours a day, 7 days a week. Initial consultations are free, and there is NO fee for our services unless compensation is secured for your claim. While we look forward to answering your questions regarding a potential opioid drug injury claim, we also encourage you to check out the following for helpful answers to common questions about opioid lawsuits and compensation. Do I Have an Opioid Drug Injury Case? Have been directly injured or harmed as a result of opioid use – Please note that these harmed individuals can include families who have lost a loved one to fatal opioid complications. How Soon Do I Have to File an Opioid Claim? When the drug-related injuries occurred – Specifically, the date on which the drug-related injuries were discovered or caused death will typically be the starting point for the statute of limitations (i.e., the allowed period of time for filing a case). The jurisdiction where the case is filed – State law sets the statute of limitations for opioid cases in that state, and these laws vary in different states. In Colorado, for instance, the law provides a two-year period for pursuing drug injury claims. Cases filed after the time limit has expired will generally be dismissed, limiting or precluding the options for financial recovery. How Long Will It Take to Resolve an Opioid Drug Injury Case? Settling a case out of court, prior to trial, can result in faster resolutions. More complex cases can require more involved discovery (pre-trial preparations), which may draw a case out longer. Battling out an opioid claim in court can also extend the duration of a case. While pre-trial settlements and quick resolutions may be preferable in some cases, it can be better to go to court and see a claim through trial when settlement offers fall short of fully compensating injured parties. How Can an Attorney Help Me with an Opioid Claim? Fighting to help you obtain all of the compensation you deserve. 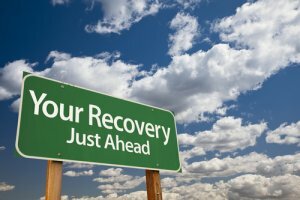 As you concentrate on your physical and psychological recovery, you can rely on Bell & Pollock, P.C. to oversee your financial recovery and bring your case to the best possible resolution. A drug injury lawyer at Bell & Pollock, P.C. can provide you with experienced advocacy and effective help seeking compensation and justice if you or someone you love has been hurt by any type of prescription opioid medication. Call (720) 580-4294 or email our firm for a free, no obligations consultation with one of our lawyers. This one meeting can be integral to helping you get the answers and advice you need to protect your rights to recovery. At Bell & Pollock, our lawyers are proud champions of the people, dedicated to providing exceptional advocacy and personal, responsive legal service. We always put our clients first, and we always work tirelessly to help them achieve their objectives. Let our attorneys put their skills, insight and resources to work helping you recover.